These days fewer and fewer PCs and Servers come incorporated with Serial (RS232) interface ports. Listening to the needs of system builders and IT Administrators, Dynamode are pleased to announce the immediate availability of the new PCI-RS232 Dual Port Serial PCI Card. Featuring full Plug n Play compatibility together with fast Serial data rates of up to 1Mbytes/sec via Dual DB-9 Serial ports coupled with full data integrity using the industry standard Moschip™ ASIC Serial Controller using the latest 16C550 UART design. 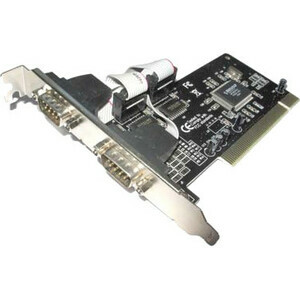 Perfect for legacy Serial applications like EPOS, Modem Links or Process Control, the Dynamode PCI-RS232 is the only choice for all your Serial applications!